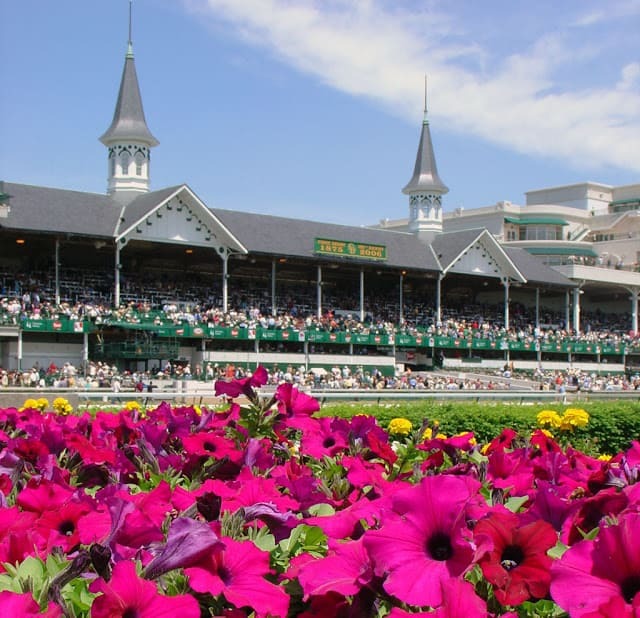 With 138 editions of The Kentucky Derby, the Run for the Roses ranks as the oldest continuously run sporting event in America, since it first began in 1875. With over a century worth of history, the Derby remains a timeless hallmark of Spring and is regarded as a great American Tradition. Many customs have become synonymous with the first Saturday in May. The only things bigger than the race itself are the Hats. Men and Women alike will wear their finest head-wear to celebrate Kentucky Derby Day. 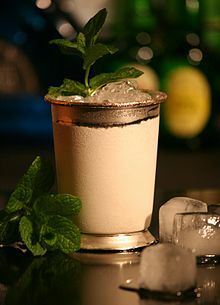 Since 1938, the Mint Julep has been the official drink of the Derby. The ingredients have stayed the same. Mint, sugar, spring water, crushed ice and Kentucky whiskey, usually Early Times. Cool, Strong, Minty and Delicious. While the Derby is full of history and traditions there are none that rival the powerful moment when the band begins to play “My Old Kentucky Home” as the horses step onto the track. This show of tradition can bring tears to a grown mans eyes, or so some say. Personally, I have never had the pleasure of attending the Kentucky Derby but I do know people who have. I’ve been told that it’s something you should experience at least once. A tradition as old as the Kentucky Derby itself. Put mint, sugar and a small amount of bourbon or spring water into the bottom of a mixing glass. Gently muddle the mint and sugar. Let stand for a bit to allow mint leaves to release their flavor. Strain and pour into a julep cup, rotating to coat the sides. Fill with crushed ice, then add the rest of the whiskey. Garnish with a slapped small mint sprig. Gorgeous pictures, I would love to go to the Kentucky Derby, it's on my bucket list. But I can make your Pecan Pie. I don't know much about the derby (Never having been there), but the drink looks like something I'd like to try. Thanks for sharing.